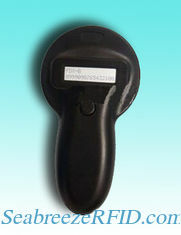 Can read LF tag accord with FDX ISO11784/11785-A, FDX-B and HDX standard, can be widely used in pet management, animal tracking and livestock tagging system. Mixer support all common ISO11784/11785 animal RFID tags. The operation is simple, only one button to read. Display with backlight, easy to read in the darkness of the environment. Large pieces of memory to store up to 8000pcs ID data. Mixer directly read the internal reading mode of historical data. Low battery alarm function, when the battery is less than 7.8 V.
Optional output interface, external antennas. In pieces standard USB connection of computer to upload the data.